Don't look at all the wrapping paper littering your living room as a wasteful annoyance—view it as an opportunity! Put those discarded sheets and remnants to good use in one of these smart DIY projects. 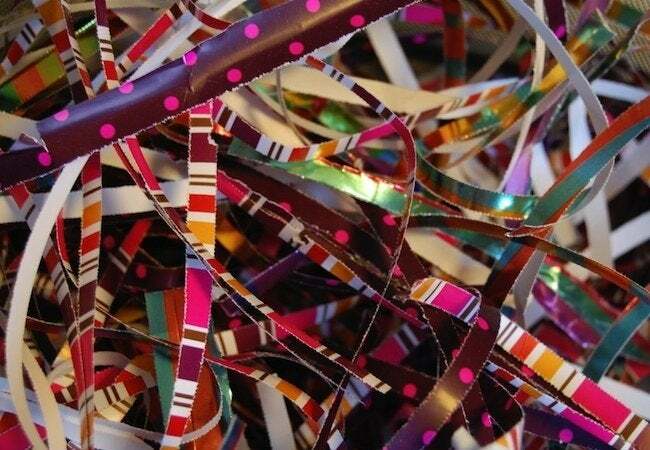 It’s always alarming to see how much gift wrap gets wasted during the holidays. Boldly patterned, brightly colored paper suddenly becomes garbage when only moments before it was festive and beautiful. The silver lining is that for those hardy souls who love to reuse wrapping paper, Boxing Day cleanup is like Christmas all over again. No, you don’t have to wait another 364 days to do something with your leftovers. 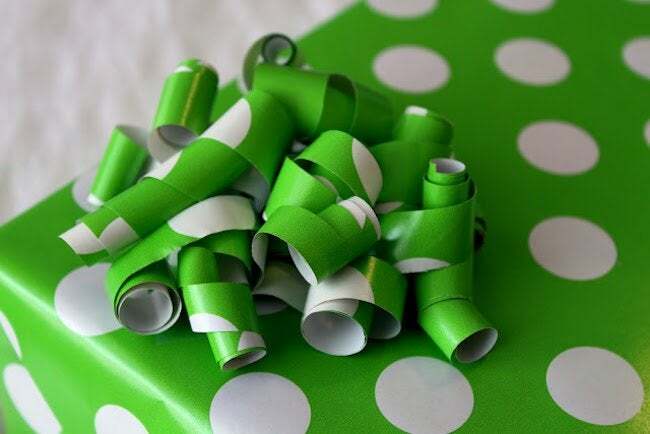 Here are five DIY wrapping paper projects you can start on today! Picture the plethora of empty cans that, even as you read this, sit idly in your recycling bin. Now imagine covering one (or a dozen) of those containers with gift wrap in your favorite design. This DIY wrapping paper project enables you to create the perfect package for cookies—or any item that fits, home-baked or otherwise! 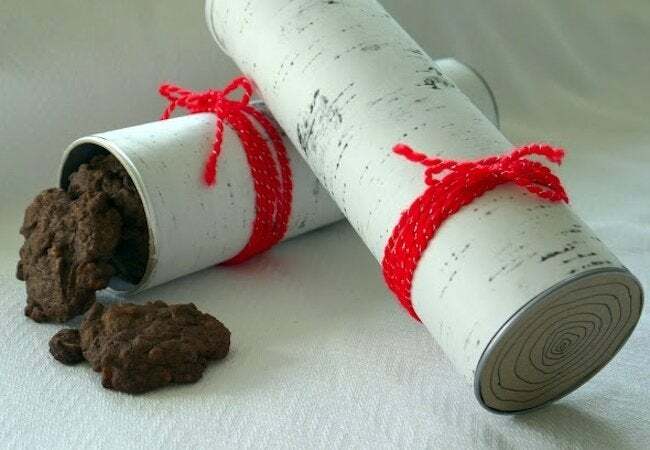 For creative hosts, here’s a DIY gift wrapping project that can save you time and money, and even promote conversation among guests. 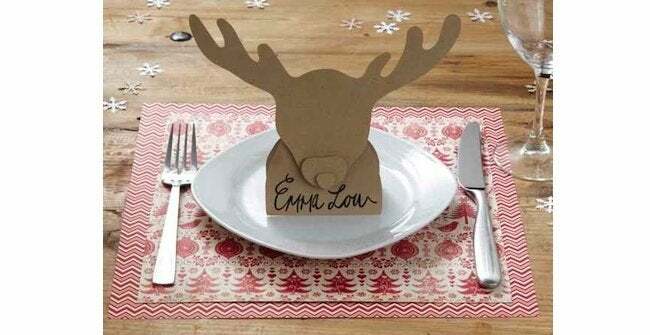 If your go-to placemats are in the wash, or if you don’t have any in a design to suit your table setting, consider using gift wrap—it works on its own but, if you prefer, can be laminated at the office store. 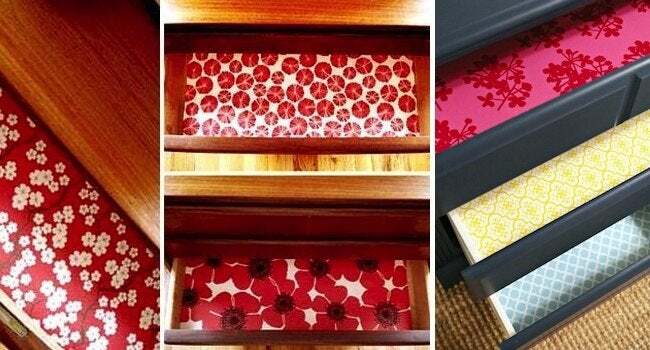 An easy way to dress up your dresser is to line its drawers with leftover wrapping paper. Simply cut the paper to size, then use double-sided tape or a glue stick to secure the paper in place. If you like this DIY wrapping paper project, then apply the same method to the shelves in your home office or even to kitchen cabinets. Make the most of that ugly gift wrap your uncle uses year in and year out! In the days after Christmas, run those leftovers through the paper shredder, and presto—you’ve got enough material to safely pack all your ornaments once they come off the tree. Best of all, unlike newspaper, wrapping paper doesn’t dirty your fingers. As any experienced gift-giver knows, it’s easy to curl a ribbon for a decorative flourish on a wrapped package. A lot of folks, however, aren’t aware that you can do the same thing with wrapping paper. It doesn’t take a large piece, so hold onto all of those scraps and slivers, and you may never again have to spend money on a bow.